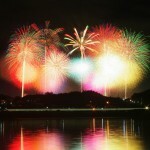 Home > Fireworks/Hanabi > Showers of Sparkling Light along the Riverside, Adachi Firework Festival! 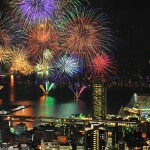 Adachi Firework Festival is an annual event firework festival, held in Adachi Ward, Tokyo. 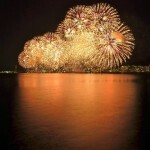 12,000 fireworks are shot from two locations along the Arakawa river side, painting the night sky with brilliant light. Time: 7:30 P.M. ~ 8:30 P.M. The festival will still be held in case of light rain, but will postpone to the following day in case of bad weather. 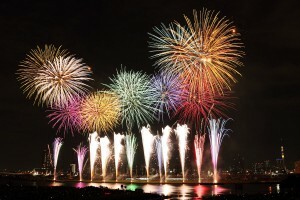 Spectators can enjoy musical firework consisted of 12,000 fireworks under the starry sky during the 60 minutes duration. One of the highlight in this festival is “Niagara”, the waterfall-type firework. If you want to get the good-viewing spot and do not want to come to the venue very early, we recommend you to reserve the paid seat in advance. Also, you can enjoy fireworks from hotels, restaurants, and ships. 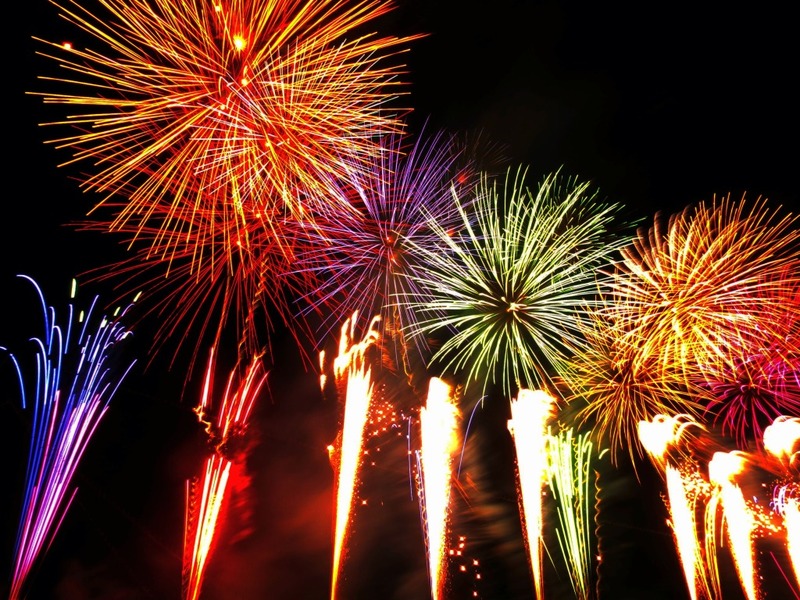 Here are some tourist attractions you could drop by before going to see the fireworks. Unique Extreme Outdoor Sports Experience, Canyoning and Shower Climbing!